The industry’s most powerful solutions package for comprehensive property information. 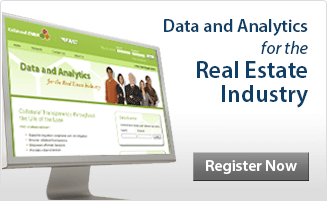 Review appraisals for accurate valuations and fraud. Easily access subject and comparable property details for transparency of collateral throughout the life of the loan. FNC has bundled its most powerful analytics—Appraisal Score, Property Scan™, and QC Vigilance—into one turbo-charged review solution: Collateral Investigator. Ideal for Review, Underwriting, and QC, Collateral Investigator has everything you need to accurately and easily review all the properties backing your loans. With this robust analytic solution, you can know the true value of real estate in your portfolio—use it for in-depth appraisal report analysis and to access complete details about the subject property and its comparables. Ensure the quality of an appraisal or broker price opinion after thorough analysis of the properties that back your loans – only with Collateral Investigator. Evaluate how closely the appraisal complies with FNC’s powerful Generally Accepted Appraisal Rules™ (GAAR®). A score (0-1,000), generated from the results, gives reviewers a quick reference point; the higher the score, the stronger the compliance. Any broken rules are listed on a summary report, so you can see the details that need closer attention. Manually reviewing appraisals is costly and time consuming, and not all appraisals require the same level of review. Being able to instantly identify potentially weak or poorly supported appraisals and focusing efforts only on those can mean significant savings in both time and money. Streamline multiple data sources for the subject and comparables into one thorough analysis report. Property Scan provides real property characteristics, legal description, sales history, county tax information, recent and historical comparable sales, and much more. Quickly gauge the quality of the appraisal backing a loan by assessing the comparables selected. With QCV, users can compare the subject property and comparables listed on the appraisal to those found in the National Collateral Database™ and then generate a value range, an interactive map plotting the subject and comparables, and a detailed report. FNC’s Generally Accepted Appraisal Rules™ (GAAR®) technology is the foundation on which Appraisal Score is built, enabling you to automate and streamline the review of appraisal reports. GAAR is comprised of two rule sets: Compliance and Risk. The Compliance rule set reviews appraisals for regulatory and GSE compliance, including Fannie Mae and Freddie Mac guidelines, while GAAR Risk reviews appraisals according to industry best practices, helping lenders mitigate risk faster and more consistently than a manual review. FNC’s data and analytic products can be ordered through your FNC Collateral Management System® (CMS®), through an interface to your own loan processing system, or online at CollateralDNA.com.